Private Client & Wealth Management attorney, Theo Burrows, will lead attendees in the interactive session – Trust Drafting: Do’s and Don’t’s – at the upcoming STEP Caribbean Conference – Fast Forward: Future Thinking – hosted by STEP Barbados (7-9 May 2018). Theo will review some significant issues which commonly arise during trust drafting, and look at various trust drafting techniques. He will also take delegates through some of the traps for the unwary which arise in the drafting context. Theo’s practice specialises in trusts, wills, estate planning, foundations, private trust companies, issues in company law and international commercial contracts. He also advises clients on regulatory compliance and gives advice to trust companies on the development of new services and issues arising in trust administration. 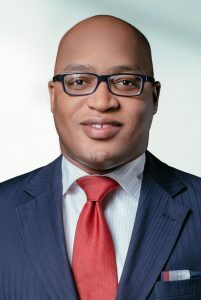 Also attending the conference is Sharmon Ingraham, a senior associate in the Private Client & Wealth Management practice group and a Director of STEP (Bahamas). STEP, the professional body for the trust and estate profession worldwide, provides members with a local, national and international learning and business network focusing on the responsible stewardship of assets today and across the generations.